The International Union for the Conservation of Nature (IUCN) classifies 26 bat species as being critically endangered, with the possibility of becoming extinct in the near future. And, because females generally give birth to one pup per year, it is challenging for bats to reproduce at the rates needed to overcome the significant decline in their species. There are many reasons for the decline of the bat population. One of the main reasons is because the forests bats use for roosting are being cleared at alarming rates, causing bats to seek refuge in man-made structures, such as attics and garages. Should you ever find bats roosting in your home, don’t panic, and call Critter Control® of Orlando. We will do everything we can to safely remove the wildlife, leaving bat extermination as a last resort. The world would be a much different place if bats did not exist. There are more than 13,000 bats around the world who play an essential role in both the health of natural ecosystems and human economies. Many of the species consume massive amounts of insects, including those that destroy crops. Others pollinate plants that aid in the production of some of our favorite fruits. The fruit-eating bats that are located in the tropics disperse seeds, which are necessary for restoring rainforests that have been cleared or damaged. Even bat droppings (guano) are used as a fertilizer. To help protect both you and the animal, you should never attempt to remove bats on your own. Instead, we advise letting the professionals from Critter Control® of Orlando help you humanely and efficiently handle your bat situation. 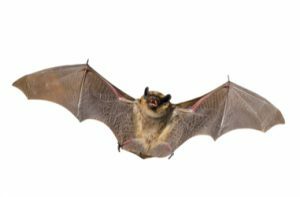 If you’re unsure of what to do when facing a bat problem, call Critter Control® of Orlando. Our trained technicians will work quickly to remove the bats and restore your home to its original condition. We are also experienced in the laws and regulations regarding bat extermination. For more information on the services we provide or to get a free estimate, call today at 407.295.7194.